I have quarried in the past that risk free rate for doing the valuation of equities and got some interesting answers, wanted to share here. The 10yr Treasury is still a decent risk free rate, but the U.S.’s sovereign debt load will soon match Greece‘s. 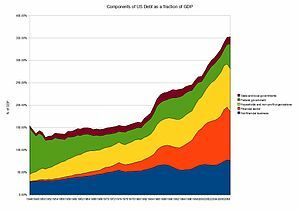 It may already exceed that level if you count the unfunded liabilities of entitlement programs. I’ll propose a better risk-free rate: An average of the 10yr debt YTMs of the five countries in the world with the lowest ratios of sovereign debt to GDP. In practice, the risk free rate for equities is infinity (or indeterminate, or meaningless), whatever happens in Europe. Equities are fundamentally a risky investment. Except in very special cases, the issuer has no legal obligation to pay anything back to the shareholder and not even dividends are assured. The ‘return’ obtained by selling equities to someone else is purely speculative, dependent upon some future market that may or may not exist. Although US Treasuries are considered by many to be ‘risk free’, this would hardly be the case in hyper-inflation in which, even if the principal is repaid, the value of the dollar will be less than when the investment was made. Even gold (I would say especially gold) is risky. See the link below for the supposed protection of gold in an inflationary environment. This does not mean that equities might not be a good investment; only that there is a quite substantial risk factor. The general outlook for the US economy, in the longer term, is for inflation, some say hyper-inflation. When inflation kicks in, the risk of holding equities becomes greater.